This comprehensive and evidence based course, will help you learn how to integrate medical nutrition therapy into diabetes management throughout the life cycle. The course highlights the effectiveness of medical nutrition therapy and healthy eating interventions on diabetes management, and provides knowledge on how to create proper meal planning for individuals with different types of diabetes including type 1, type 2 and gestational diabetes. This course will help increase your competence in setting glycemic and lipid goals for individuals with multiple health conditions associated with diabetes. The course details macro- and micronutrients and alcohol; the nutrition interventions for adults with type 1 diabetes, insulin-requiring type 2 diabetes, and type 2 diabetes; youth with diabetes, older adults, pregnancy, lactation and diabetes, sports and exercise and hospitalized and long term care patients. It further details medical nutrition therapy for diabetes associated complications such as hypoglycemia, weight management, lipid disorders, hypertension, kidney disease, eating disorders, celiac disease, cystic fibrosis and gastroparesis. The course also covers medical nutrition therapy and technology including integrating medical nutrition therapy, blood glucose monitoring and continuous glucose monitoring, and insulin pump therapy. It further details effective nutrition counseling and education, health literacy and numeracy and self-management education, and cost effectiveness of diabetes MNT. And finally, medical nutrition therapy for prediabetes and integrating medical nutrition therapy into community based diabetes prevention programs. Understand the importance of macro- and micronutrients, and alcohol, and their role in medical nutrition therapy for diabetes. Implement the Nutrition Care Process for nutrition management of diabetes. Integrate medical nutrition therapy into diabetes management throughout the life cycle including those with type 1 diabetes, insulin-requiring type 2 diabetes, and type 2 diabetes; youth with diabetes, older adults, pregnancy, lactation and diabetes, sports and exercise and hospitalized and long term care patients. Implement effective medical nutrition therapy and healthy eating interventions for diabetes management. Create proper meal plans for individuals with different types of diabetes including type 1, type 2 and gestational diabetes. Implement medical nutrition therapy for diabetes associated complications such as hypoglycemia, weight management, lipid disorders, hypertension, kidney disease, eating disorders, celiac disease, cystic fibrosis and gastroparesis. Set glycemic and lipid goals for individuals with multiple health conditions associated with diabetes. Prepare care plans for hospital patients and long term care facility residents with diabetes. Improve knowledge of specialty areas of diabetes including gestational diabetes and children with Type 1 diabetes. Integrate medical nutrition therapy, blood glucose monitoring and continuous glucose monitoring, and insulin pump therapy. Demonstrate knowledge of dosing insulin for continuous insulin infusion. Implement effective nutrition counseling and education, health literacy and numeracy and self-management education, and cost effectiveness of diabetes MNT. 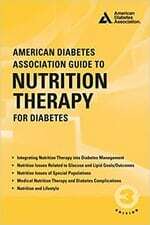 Implement effective medical nutrition therapy for prediabetes. Integrate medical nutrition therapy into community based diabetes prevention programs. Marion J. Franz, MS, RD, LD, CDE, is a nutrition/health consultant with Nutrition Concepts by Franz, Inc. For over 20 years she was the Director of Nutrition and Health Professional Education at the International Diabetes Center, Minneapolis, Minnesota. She has authored over 200 articles, books, booklets, and book chapters on diabetes, nutrition, and exercise and lectures frequently in the U.S. and internationally. She is the lead author on the Academy of Nutrition and Dietetics’ (Academy) Evidence-Based Nutrition Practice Guidelines for Type 1 and Type 2 Diabetes and authored the American Diabetes Association’s (ADA) 2006, 2002, 1994, and 1986 nutrition position statements and technical reviews, and was editor of the American Association of Diabetes Educators Core Curriculum for Diabetes Education, 4th and 5th editions. She has received numerous awards, including the 2001 ADA Charles H. Best Medal for Distinguished Service, 2006 Academy Medallion Award and 2008 Huddleson Award. Alison Evert, MS, RD, CDE, is a Diabetes Nutrition Educator and the Coordinator of Diabetes Education Programs at the University of Washington Medical Center, Diabetes Care Center in Seattle, WA. An author of numerous articles about the role of nutrition in diabetes care, Ms. Evert helped write and revise the American Diabetes Association/ Academy Choose Your Foods educational booklet series. 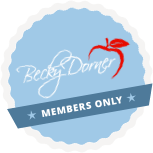 She Past Chair of the Academy’s Diabetes Care and Education Dietetic Practice Group, an active diabetes educator, and served on the Children’s Work Group for National Diabetes Education Program for five years.